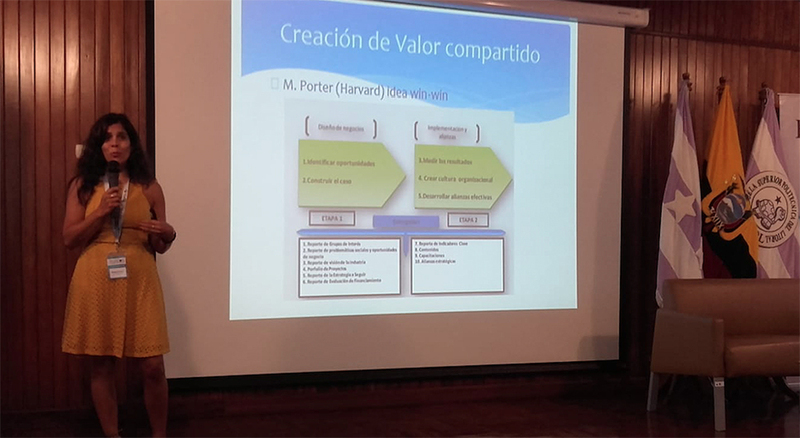 Helena Knörr, Ph.D., professor of organizational leadership in the Rowland School of Business, was invited back to Escuela Superior Politécnica del Litoral (ESPOL), a university in Guayaquil, Ecuador, to present on social innovation and entrepreneurship. Knörr spoke to government officials, university governance members and program directors Sept. 13 about the role universities can take in creating opportunities with businesses and government to develop innovation and social entrepreneurship through the Triple Helix model. 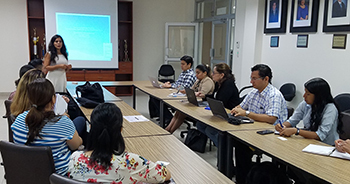 ESPOL, the number one public university in the country of Ecuador, hosted this event through TELESCOPI, an international organization that fosters the development of best practices and standards in strategic university governance in Europe and Latin America. An inveterate passionate traveler, Knörr worked several years in Spain and the United States before joining Point Park University's faculty. Knörr currently serves as a reviewer and consulting editor for several peer-reviewed journals and professional organizations.